Over at Redgate, we’ve been working on a new way to get information to you. It’s called the Redgate Hub. Check it out. 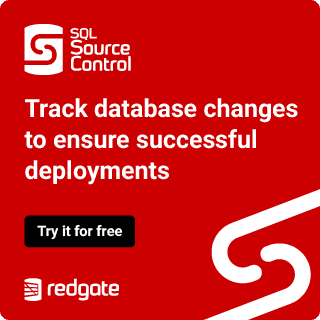 To help you understand this new resource, and to show off some cool new material, we’ve decided to host a livestream event, Redgate Hub Launch on September 6th. If you’ve attended a Redgate event before, you’ll have some idea of what we’re about. If you haven’t, this is your chance to see exactly what we do and how we do it. If you follow the link above to the Launch event you can check out the agenda. We’re covering a bunch of topics. It’s going to be fun. I’m even doing a presentation based on my new article that just got published. It’s called Protecting Production Data in Non-Production Environments. It shows off our new tool, SQL Clone. The post Redgate Hub LiveStream appeared first on Grant Fritchey.